4 Beds 3 Baths 3,189 Sq. ft. 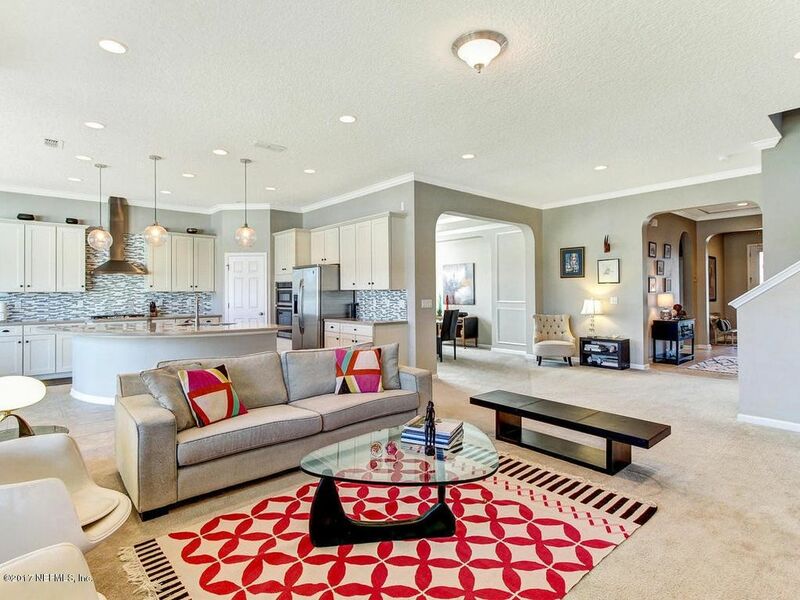 Enjoy the Nocatee lifestyle in this well designed 3250 sf home. The heart of this 4 bedroom, 3 bath home is the gourmet kitchen of your dreams with a huge island, custom New Haven Maple glazed cabinetry, glass tile backsplash, stainless steel appliances, gas cooktop, and globe pendant lighting. Generous Owners Suite with large custom closet, separate vanities, soaking tub, and shower with built-in seat. Energy saving features include tankless gas water heater, Low-E windows, insulated ductwork throughout, R-30 fiberglass ceiling insulation. New owners will enjoy state-of-the-art fitness & aquatic centers and walk, bike or take your golf cart on the cart friendly trails to nearby shops, restaurants & A-Rated Schools. Directions: Go East On Cr 210 Over Philips Hwy. Turn Left On Greenleaf Dr (Next To Valley Ridge Academy). At Round-About Turn Right On Cross Ridge Dr. Turn Right On Cameron And Home Is On The Right.